Here we've got a future something. What, I'm not sure. A few months ago a friend gave me some seedlings for cucumbers, peas and carrots. 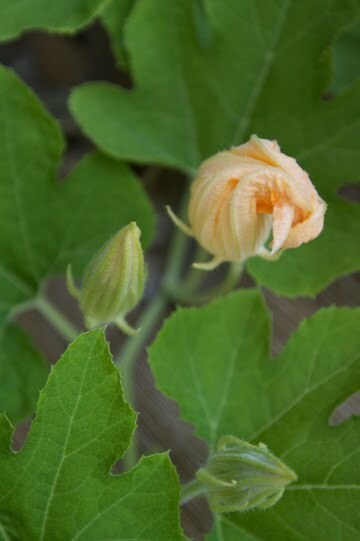 I don't think this is cucumber because there is another viney kind of plant that has smaller flowers and I think that is the cucumber. So now I don't know what this is. It looks like it's probably squash. If I'm lucky and the garden doesn't despise and resent me too much for not watering it often enough, maybe I'll find out.